NETWORK is the archetypal collection of RODA, the one which has represented and still represents the soul and the history of the company and that fully expresses the concept of in & out. A product line whose highly distinctive feature is the marked presence of solid teak, a modular system for living and relax situations: NETWORK, that is. 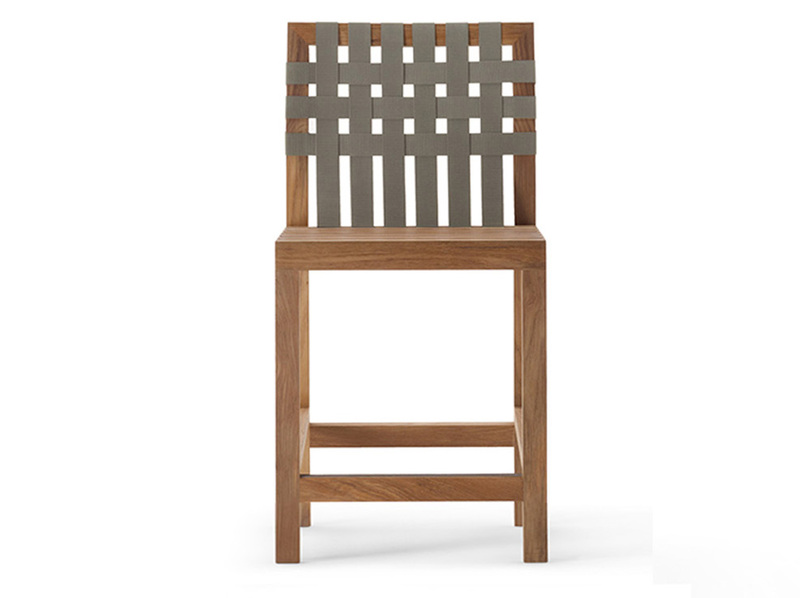 The barstool is characterized by a solid teak structure, which is combined with the backrest made of woven polyester belts. The barstool is a contemporrary and elegant proposal mainly designed for contract situations.